Gamers will have to use Bethesda.net to play Fallout 76 on PC. Bethesda released new information about the upcoming Fallout 76 beta, including the fact that PC players won’t be able to play the game on Steam. Instead, both the beta and full game will only be accessible via Bethesda.net according to a quote from the test build’s latest FAQ. While Fallout 76 will launch on Bethesda.net, it’s still possible the game will be made available on Steam in the future. After all, other Fallout games including Fallout 4 are available on Steam. It may take approximately a year for Fallout 76 to make it to Steam, though, especially considering it took that long for Fallout Shelter to see a Steam release after also launching as a Bethesda.net exclusive on PC. Fallout 76 will be available to PC players through Bethesda.net. Aside from PC players being limited to Bethesda.net, other details were announced recently including the fact that your beta progress will carry over in Fallout 76 on all platforms including PlayStation 4, Xbox One, and PC. 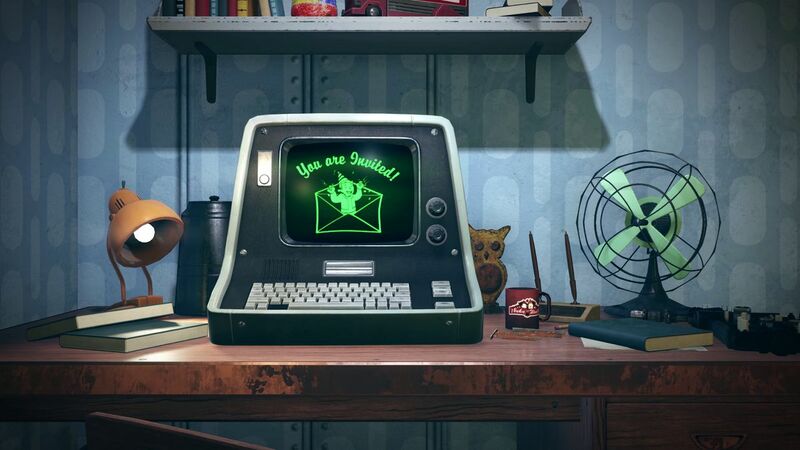 Based on speculation, invitations for the Fallout 76 beta may be sent as soon as October 27. Bethesda confirmed the Fallout 76 beta will kick off first on Xbox One, before being available shortly after on other platforms like PC and PlayStation 4. Fallout 76 officially releases on November 14 for Xbox One, PlayStation 4, and PC (courtesy of Bethesda.net). While we wait for the beta period to begin and the game’s full release, let us know in the comments below what your thoughts are on Bethesda only making Fallout 76 available to PC through Bethesda.net? Let us know down in the comments below!